Product #16478 | SKU MMA206 | 0.0 (no ratings yet) Thanks for your rating! 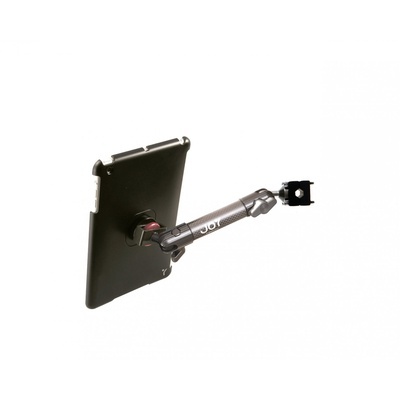 Bring the magic of the iPad to your car’s back seat with a Valet Headrest Mount from The Joy Factory. Use your iPad as an in-car movie theater for long trips or type e-mails during your carpool to work. The Valet Headrest Mount attaches easily to most standard headrest poles so that you can swivel the tablet anywhere you like, even between the front seats. The Mount can be attached to the middle or top section of the poles without affecting headrest adjustments. Proprietary MagConnect™ technology makes attaching your iPad a snap, for a secure connection every time.